CareMates™ gloves should fit closely but not too tightly. Prolonged use for tight-fitting gloves can, over time, contribute to health problems including joint pain, thumb fatigue, and carpal tunnel syndrome. 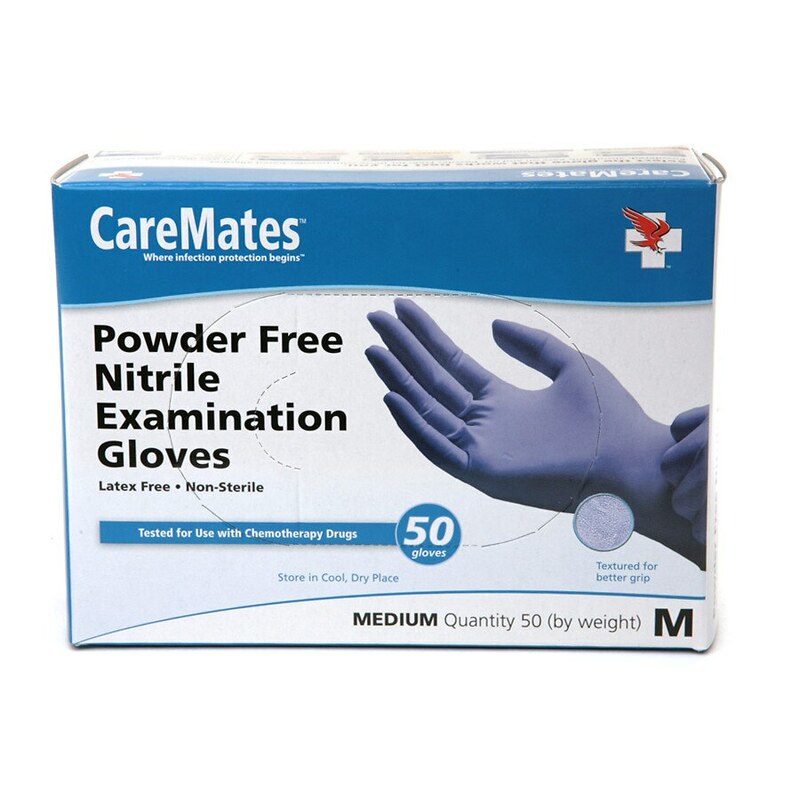 CareMates™ Gloves exceed (not just meet) the ASTM (American Society for Testing and Measurement) standards for an infection control device because we care about the safety of you and your loved ones. Dispose of glove immediately after use. This product contains natural rubber latex which may cause allergic reactions in some individuals. Safe use of this product on latex sensitive individuals has not been established. Individuals known to be sensitive to natural rubber latex should choose to use alternative products such as Nitrile, Vinyl, or Vytrile. The ASTM has established minimum quality standards for the manufacture of safe and effective infection control devices This product meets ASTM minimum standards/ This exam glove is intended to protect the wearer and/or the subject from contamination.